I don’t know if it was just because it was my first trip overseas, but when I first came to Bali in 2007 I stayed in Kuta and I definitely wasn’t a big fan of it. It was dirty, loud and full of street dogs, beggars and drunk Aussie bogans who didn’t know how to act respectfully overseas. This time around, I was adamant that we would stay as far away from Kuta as possible. 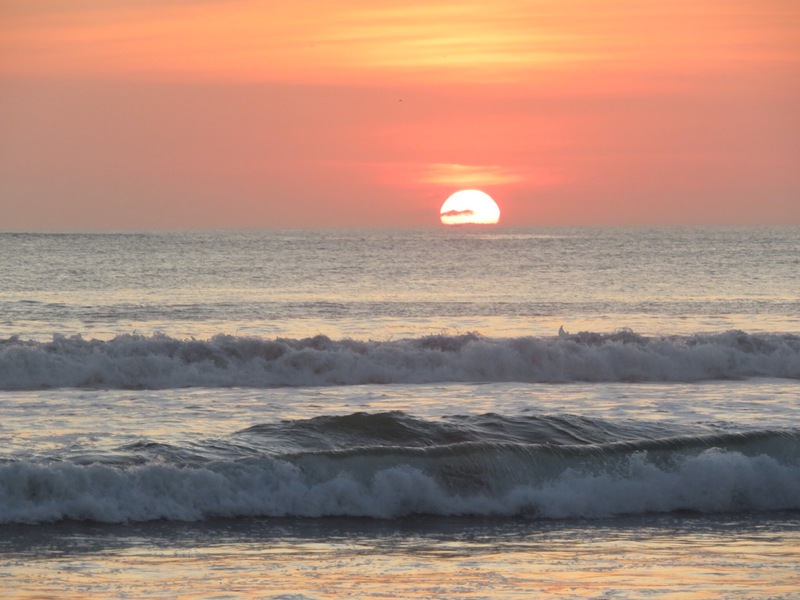 As it turns out, Kuta is an excellent place for budget travelers and is full of options. After almost a full day was spent searching for other options without any luck we begrudgingly accepted the fact that we should base ourselves in Kuta for a few days to see the surrounding areas. I am so glad we did this! Kuta has changed so much. We took the bus from Ubud to Kuta ($6) and were dropped off in the middle of a busy intersection. “Here’s the drop off point” said the bus driver. We all looked at each other confused. Surely we weren’t unloading the bus in the middle of an intersection. Yep, we were! After a hot, sweaty walk with all our baggage we finally found our budget hotel located right on Poppies one- in the middle of all the action. Once we were checked in an settled we went for a walk. I was trying so hard to get my bearings but nothing looked familiar to me. The streets were paved and clean, no one was harassing us to buy stuff, there were no dogs or beggars in sight and it seems to be quite westernized (not sure if this is a good thing). There were Starbucks every where, even a Gloria jeans and a Boost juice! A little further down the main road we found the new Kuta beach walk. I honestly felt like I could be anywhere in the world. It was full of beautiful restaurants, bars and a big shopping mall with shops such as Zara. At first, Kuta made me wish I wasn’t a backpacker on a budget. It was like being a diabetic in a candy shop. Everything you want is right there but you can’t have it. That’s not to say we didn’t have any fun though! Here’s my guide to Bali on a budget: Kuta. As I said earlier, there are so many budget options in Bali. The trouble is finding a balance between budget and good quality. We found this to be a bit of a struggle. Some of the hotels looked so disgusting, far worse than any hostel I’ve stayed in. We ended up staying at Keddins inn, right on Poppies one, 2 minutes from the beach and surrounded by restaurants. We paid $25 a night for a standard room with aircon. It was nothing fancy but it was enough. We had a balcony, a nice big pool and free breakfast. 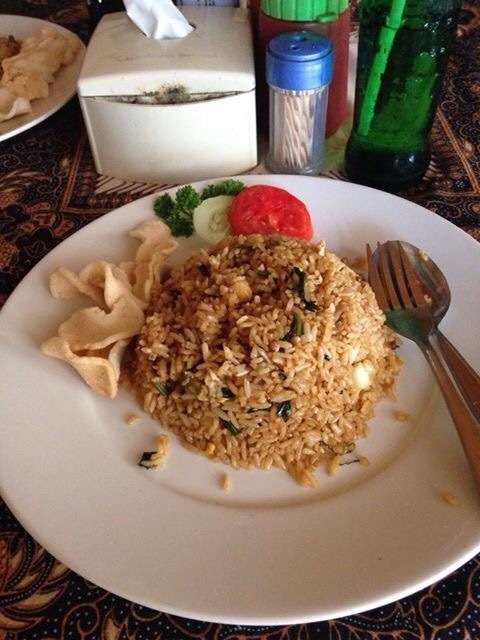 There are so many places to eat in Kuta, it’s so great to be able to have so many good quality options in one place. We stumbled across a real gem on poppies one called Bamboo corner. From the outside it looks like nothing special. Inside, it smells like cats (in my opinion and is why Tom and I nicknamed it cat cafe), the table cloths were always filthy, there is a pregnant cat wandering around the restaurant everyday with patches of her fur missing and the staffs customer service includes throwing menus at you and never smiling even though their shirts read “smile, it costs nothing”. It’s not all bad though, which is why I’m recommending it. The food portions are massive and it is some of the most delicious, authentic Balinese food I’ve ever had. The prices are ridiculously cheap, cheaper than anywhere else we saw. Tom and I could both eat a meal each and our bill together would come to $3, no joke! 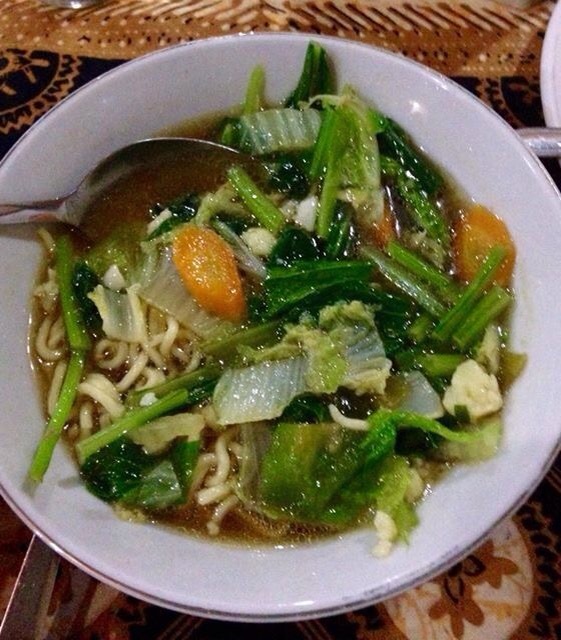 A delicious veggie noodle soup costs $1 and a huge Nasi goreng was $1.50 just to name a few. On more than one occasion we ate here for lunch and dinner on the same day. It’s always filled with people and has excellent ratings on trip advisor. 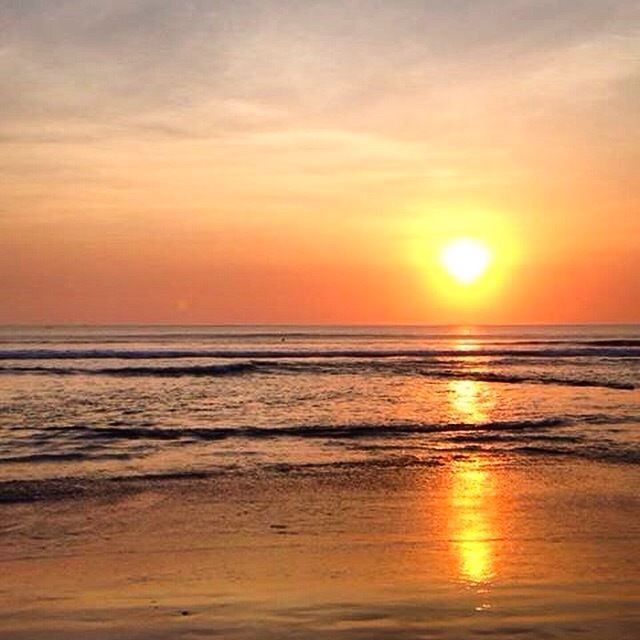 Kuta has the most beautiful sunsets and there is no way you want to miss seeing it. People flock to beachside bars and cafes to have their sunset cocktails and beers. Places like Ku de ta and Potato head are where all the cool kids go. As much as I’d love to sit in a fancy bar sipping on cocktails, it’s just not in a backpackers budget. So, we did the next best thing. 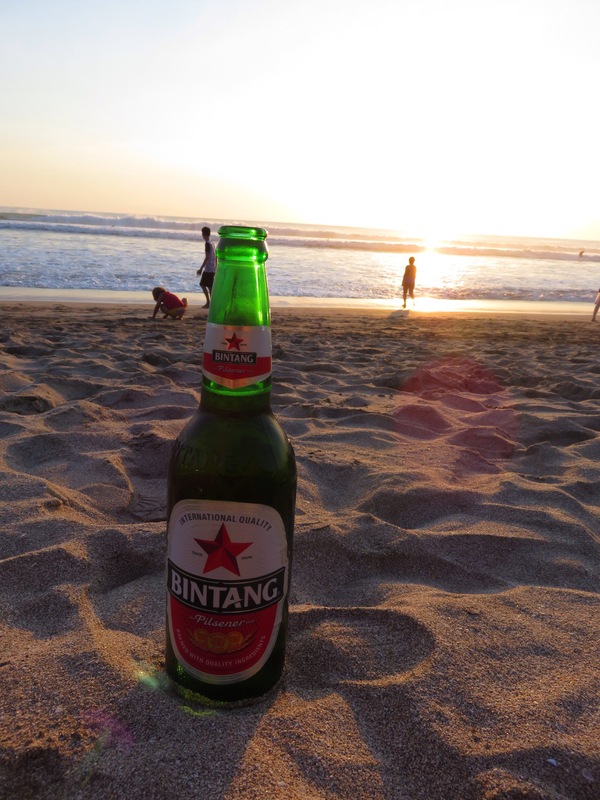 We brought a big 650 ml Bintang (local beer) each for $3 and headed down to the famous Kuta beach. You can rent chairs and buy beers off the locals on the beach but we skipped that and sat in the sand. You get to see the same beautiful sunset as all the fancy people in bars sipping on cocktails but for less than half the price. 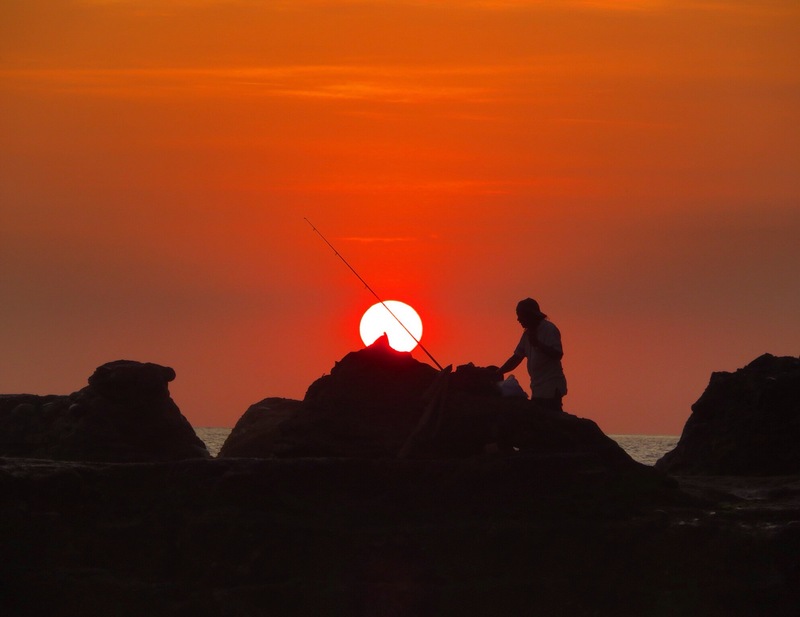 Kuta and Bali itself is filled with various activities. 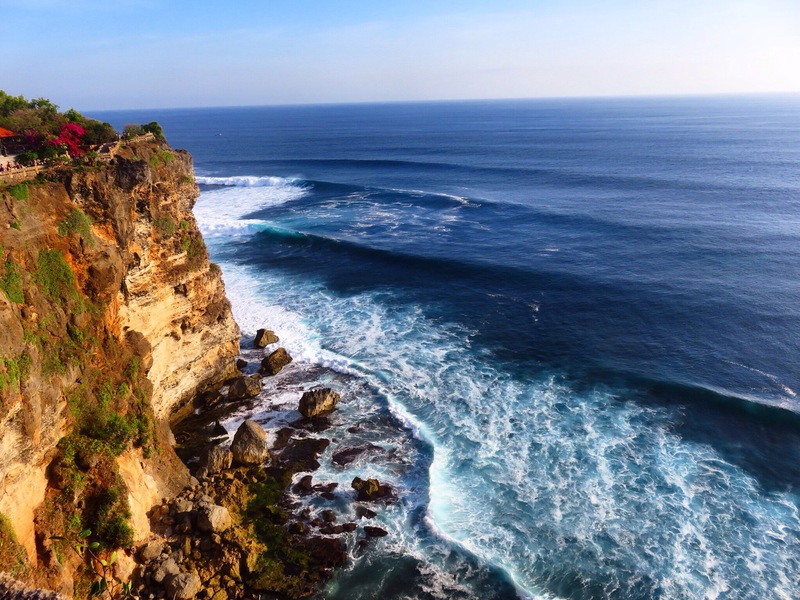 Bali island is quite small and easy to get around and there is literally an activity to suit anyone. Some of these tours can be quite pricey but a lot of the time a little bartering is all you need to do to get a great price. 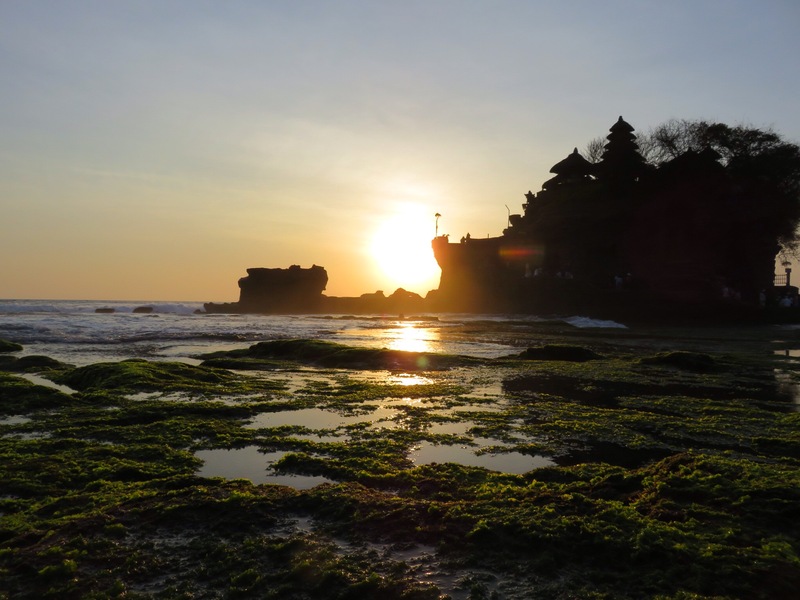 Tom and I happened to meet a lovely taxi driver called Freddy Kruger (haha) who said he would take us to the Uluwatu temple and Tanah lot temple to see the sunset on two separate occasions for $30 AUD each time. All tour desks had quoted us $50 AUS and had time limits. Freddy picked us up when we asked him to, waited for us then drove us back to our hotel. It was perfect. Uluwatu was one of the most beautiful sunsets I have ever seen. The huge cliffs and rolling waves just made it even more special. Watch out for the monkeys though, they are vicious! They are a thousand times worse than the monkeys in Ubud. Tanah lot was another beautiful place. The temple itself is perched precariously on a cliff. The tide was out and the reef was exposed, so it made for some beautiful sunset shots. Another great thing we got to participate in was the releasing of a baby sea turtle. It was something I had always wanted to do so when my friend told me about it I was determined to do it! 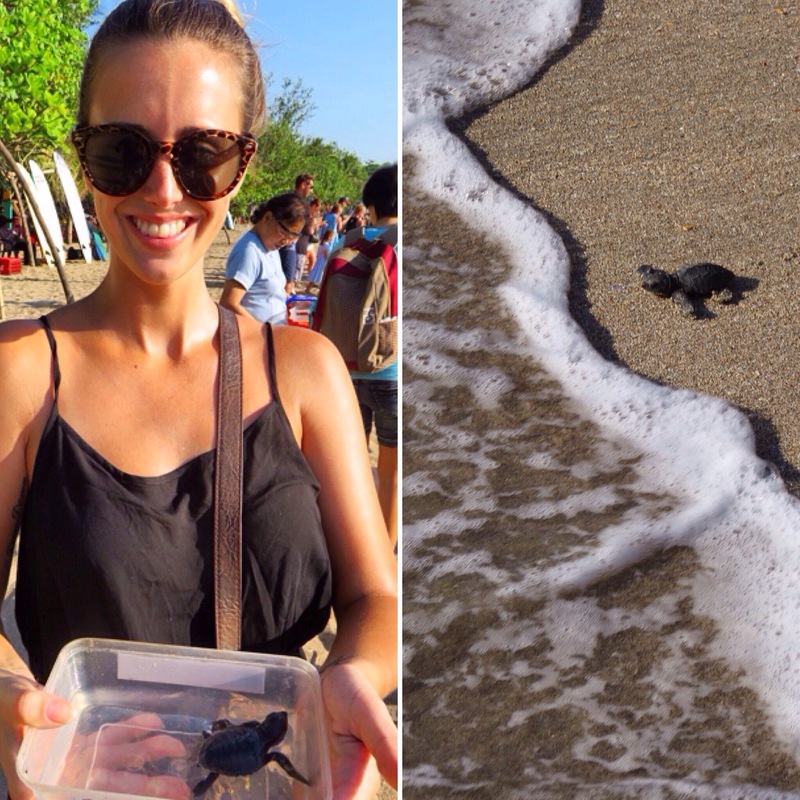 Down on Kuta beach near the Inner Kuta hotel is a turtle conservation run by Mr turtle himself who is so passionate about helping turtles it nearly brought a tear to my eye. As it was turtle hatching season, there were turtles hatching and being released every day at 4:30pm. It depends on how many turtles there are as to how many people get one (obviously). Children are given first priority. I was so worried that we wouldn’t get one, even though we got there half an hour early. Children kept coming out of no where and going to the front of the line. Finally our time came and we got one!!! It was so cute. The releasing of the turtles was very organised and safe for the turtles. We weren’t allowed to touch them and once they were released we had to stay behind the line to make sure no one stood on any. It was such a happy and touching experience to help the babies get a start on life. I felt like I might cry. Another great thing about this is it’s FREE! A donation is encouraged though and really, why wouldn’t you want to donate to such a great and beneficial cause? The rest of our time was spent going to the beach, lazing by the pool and wandering through the markets. 2 days in Kuta, turned into 6. To my surprise we really enjoyed ourselves. I would highly recommend it. I can’t wait to go back! Nice post. There needs to be more ‘Bali on A Budget’ posts. Thanks! I’m glad u enjoyed it. That’s what I thought too, it was really hard to find info about budget travel in Bali. I’ll be writing a few more Bali on a budget posts about the other places im seeing here.